When Giovanni Rana, makers of delicious, authentic, Italian pasta, told me they’re partnering with food banks to fight against hunger in their latest challenge, I told them to sign me up. The initiative is two-fold: not only are they making it easy to donate food, they’re encouraging spending time with family and friends for their Rana Ravioli Challenge by making food at home. 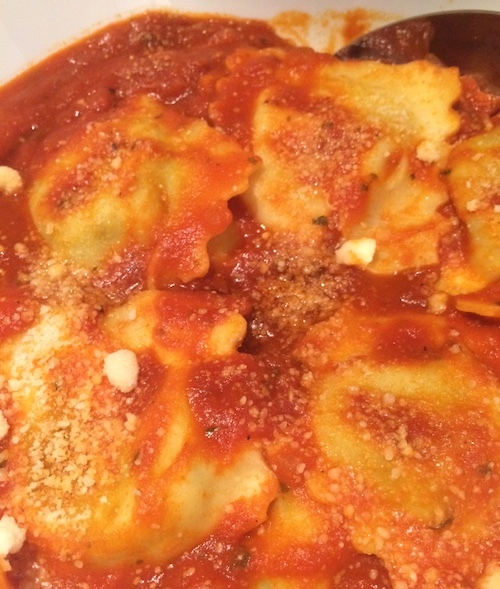 They sent me some of their products to prepare a ravioli dinner with friends recently, using a mix of their Ravioli Cheese Forte with their Marina sauce and their Ravioli Mushroom with their Basil Pesto sauce. The food was prepared easily, and was so tasty. 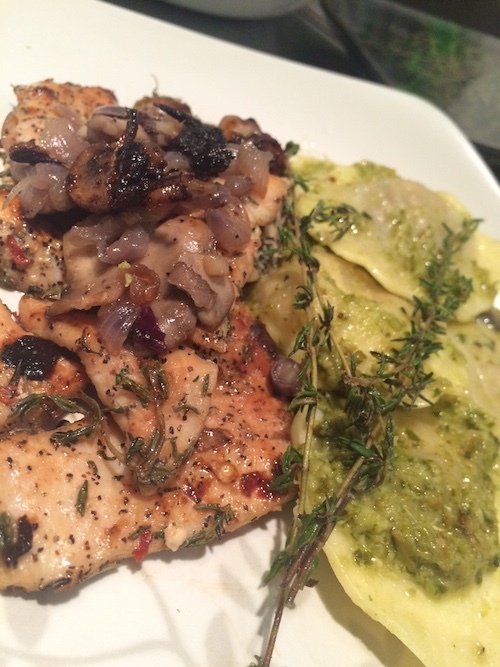 I tried different combos, with thyme-pepper chicken (recipe here) and rosemary-garlic bread. 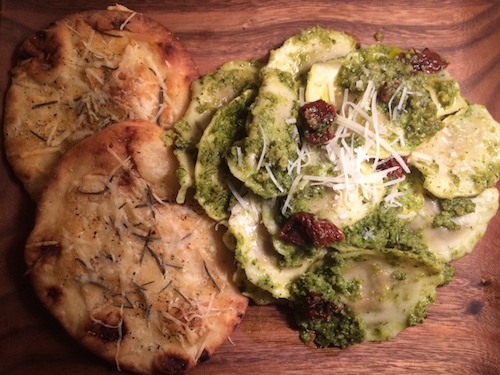 On another occasion, I topped the mushroom ravioli with sundried tomatoes. They all made delicious meals (and FAST). But the best part — there’s an easy way to donate to feed the hungry. 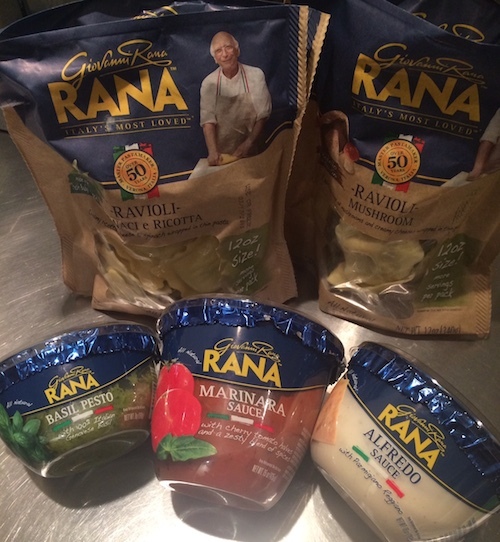 TODAY on 3/20 in honor of National Ravioli Day, use the hashtag #RanaRavioliChallenge on your social platforms (Twitter, Instagram, Facebook), and each time the hashtag is used by a different account, Giovanni Rana will donate 1 pound of pasta to the Food Bank For New York City. I would love if you guys could participate — every little bit counts! Feel free to link this post or one of my photos to help with the initiative :).